Dr Ali qualified from University College London, where she won several undergraduate prizes, including the Sir Jules Thorn scholarship to study for an intercalated BSc degree in Physiology. She undertook her postgraduate general medical and specialist Respiratory training at various prestigious London teaching hospitals including the Royal Postgraduate Medical School, Hammersmith Hospital and the London Chest Hospital. Dr Ali trained in Allergy at the Royal Brompton Hospital and was a Medical Research Council sponsored fellow in the Department of Allergy & Clinical Immunology, National Heart and Lung Institute, Imperial College London. She was awarded a PhD for her research into the allergic mechanisms of asthma and peptide immunotherapy. She has published articles in several prestigious peer reviewed journals, presented at international conferences and contributed chapters to a number of authoritative textbooks. Dr Ali became a Fellow of the Royal College of Physicians in 2009. 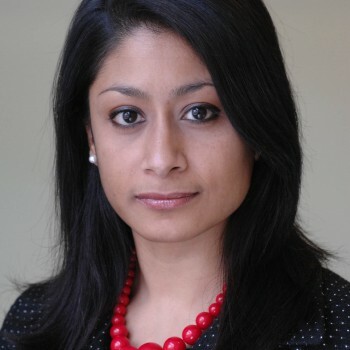 As a consultant at Barts Medical School, Dr Ali continues to participate in cutting edge research in allergy and asthma, including trials of sublingual immunotherapy (desensitisation) for house-dust mite allergy, anti-histamine therapy, anti-IL5 treatment for recurrent nasal polyps and anti-IgE (omalizumab) injections for chronic urticaria. She is active in teaching and is co-author of the Respiratory chapter for the major clinical examination textbook “Hutchison’s Clinical Methods”. Dr Ali is a regular speaker, and has presented at the Allergy Show. 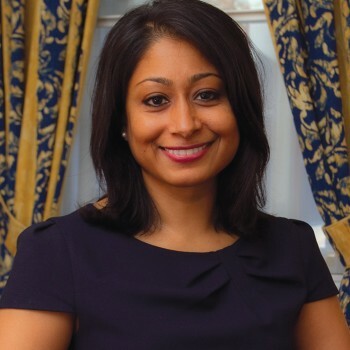 Dr Ali sits on the Allergy UK Health Advisory Board and is Allergy Clinical Lead for the National Casemix Office (Department of Health) and a member of the NICE Evidence Resources Reference Panel. She was previously Executive Council member of the British Society for Allergy & Clinical Immunology, Communications Lead and Editor of Allergy Update and a member of the Joint Committee for Immunology & Allergy at the Royal College of Physicians. She is also a member of the British Thoracic Society. Dr Ali was appointed Consultant Physician in Respiratory Medicine & Allergy at Barts Health NHS Trust, the UK’s largest NHS Trust, in 2004. She is Lead Clinician for Adult Allergy and Co-Lead for Difficult Asthma, and is additionally qualified as a Consultant in General (Internal) Medicine. In the private sector, Dr Ali practises at the prestigious King Edward VII’s Hospital Sister Agnes, which is renowned for its charter to serve the Royal Family. King Edward VII’s hospital hand picks its consultants, selecting only recognised leaders in their fields, and Dr Ali was asked to set up its first-ever dedicated Allergy clinic in 2009, one of only a few in London. In 2014 she also joined The London Clinic, the largest independent private hospital in the country. Married with 2 children, Dr Ali enjoys far-flung travel when able and divides family life between Limehouse and rural Dorset.